Today is the day. The day where me and Shawn find out the gender of our first unborn baby. Shawn takes my hand and walks me out of the door. "Y/n aren&apos;t you excited?" Shawn asked in a happy tone. "Of course I am, I&apos;m just a little nervous." "Well there is nothing you should be nervous about babygirl." Shawn smiles and rubs my back. We walk into the car and drive off. "Shawn, what do you think it&apos;ll be?" I ask. "Hmmm I&apos;m not sure, but wether it&apos;s a boy or a girl, I&apos;m happy to have a baby of our own." Shawn replies. Shawn takes one hand off the steering wheel and puts it in my hand, our hands interlock for the rest of the ride. We walk in to the hospital and check in. Shawn and I take a seat and wait for our names to be called. "I&apos;m so excited, but nervous." I say. "Why are you nervous baby girl?" Shawn asks. "I&apos;m not sure, I guess the thought of having a baby is just shocking, ya know?" "I know what you mean, but it&apos;s a good type of shock." "Yeah" is all I could say. "Mr and Mrs. Mendes?" We hear our names and walk up towards the nurse to take us to the room. The nurse tells me to lay down and lift my shirt up so my belly would be visible. She puts the ultrasound gel on my stomach and starts to scan my belly. "Shawn look!" I say point towards the screen. "Oh Y/N it&apos;s our baby!" 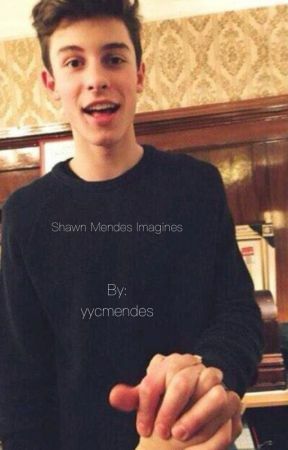 I squeeze Shawn&apos;s hand out of excitement. "So, this is the moment." Says Dr. Rogers. Me and Shawn look at each other in the eye. "Your baby is...."
That&apos;s about it for this chapter guys! Hope you enjoyed it! "Your baby is a boy." 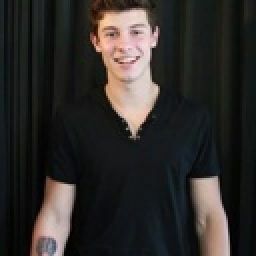 Shawn looks at me and instantly kisses me. "Y/N a boy! This is amazing!" Shawn says with the biggest smile on his face. I smile with joy.